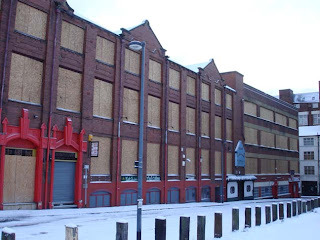 After gathering together all of our groups research we found a connection between all of our photos, that there was lots of derelict buildings in Leeds which didn't serve a purpose. 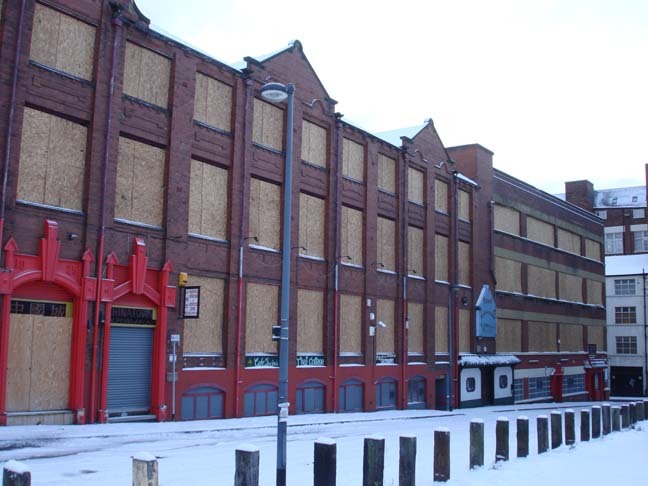 These buildings were mainly un-used shops that unfortunately have been abandoned and left due to shops shutting down in the recession. We gathered lots of different type of evidence to back up our problem. This included using Google maps to record lots of locations where shops had close down in the city and pin pointing them on a map. We found and online resource were a local woman had calculated that there are over 92 closed down shops in Leeds, leaving these spaces with no potential for the future. It surprises me how many people have tried to address this problem in the past, for example we came across the project "Art in Unusual Places" were artists had filled these empty spaces with pieces of artwork. The methods we used to gather are evidence took various different forms. The one that influenced our work the most was all the photographs we took of the empty buildings however this didn't necessarily prove that the buildings weren't being used for anything. During the second week of our project we hit the streets to gain some primary primary qualitative information to help our project move forward. This involved getting members of the public to write on our posters ideas for what we could turn our chosen building into. By speaking to people and finding out what the people of Leeds really wanted we got some good feedback that really wasn't what we expected. I assumed that people would suggest quite generic things to turn the building into things such as office buildings or a cafe but instead by talking to the people face to face we got to find out what would really be benefit them, for example a swimming pool or art gallery. By collecting statistics and opinions about our empty spaces we realized that we didn't physically have the ability to change these buildings into primary schools or studios without help from the council. Instead of trying to make a major change to our chosen building we decided to venture down a different route of modification. When getting the public's opinions one man suggested that the space should just be preserved until its needed. So that rather than knock down the building leave it empty just try to make it look more presentable. We thought this would be a really good way to push our project along as it was easily achievable. Other stages of research that we could have undertaken would be finding out more background information on the building that we were working with. If we had a list of what the building used to be used for and who it is belonged to then maybe we could have achieved some of our more daring outcome ideas. Unfortunately this information was really hard to obtain, instead we could have taken a group of people to the building and got them to guess what they thought the building used to be. -Keep your work as open as possible and be encourage to take always take a different route. -Never try and solve a brief as soon as you get it, let it develop. -Don't always focus on your outcome, let your project develop slowly. -Other peoples opinions don't always matter. -Go out and wheat paste our posters up. -Try and gain the councils backing to find out what the people of Leeds Needs. -Develop other ways of interacting with the public, for example t-shirts or flyers. 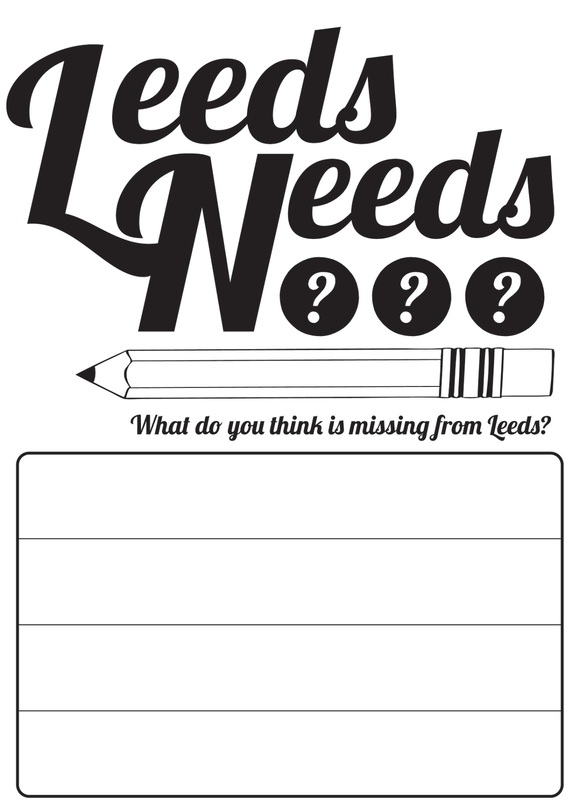 -Cover a bigger area of Leeds with our posters.